Looking for an opportunity to get your hands on top water sports equipment? Check out Demo Days at Nautical Venture to hang out with the pros right in your element: the water. Here is everything you need to know about doing just that. Our Demo Days celebration is a huge favorite for customers because it means trying everything and anything before you buy it. 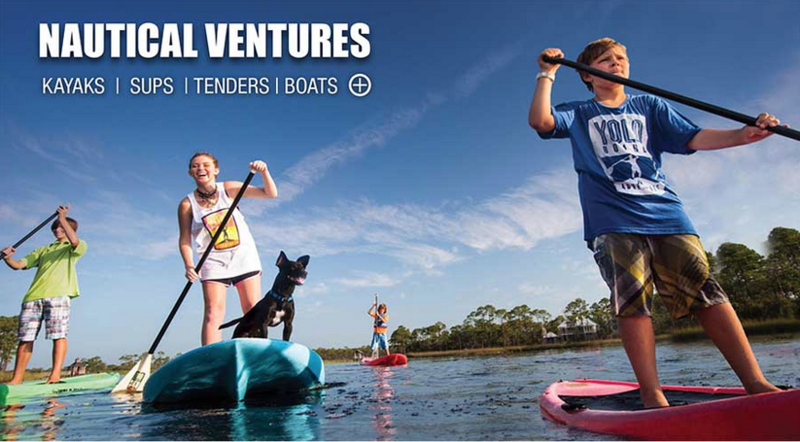 That goes for boats, kayaks, stand-up paddleboards, and other awesome watercraft. Finding the perfect fit with the balance of performance and stability you want makes every experience more exciting. Year’s-End Glastron and Glasstream Closeout: Next year’s models are rapidly approaching, which means everything you’ve had your eyes on during this year is available at a major – practically distributor’s cost – discount. Orange Tag Sale: Lovers of water sports appreciate the chance to save up to 50 percent on their favorite gear from top names in diving, kayaking, and paddleboarding, such as GO PRO. Looking for help standing up on a paddleboard? These tips help you stay safe and also give you better stability on the water. Going up against strong winds or hidden rocks can make staying close to your board – and afloat – a challenge. Staying safe lets you relax with friends and family. If you are wondering whether a specific item you are dying to pick up is on sale – and for how much – don’t wait. Visit Nautical Ventures on Demo Days or before to get more information and learn more about future deals and events too.